We need to increase the supply of “missing middle” housing, like townhomes, duplexes, triplexes, accessory dwelling units and condos. Locally and nationally, we are in a housing crisis. We need to think differently about growth in our urban communities and acknowledge the massive scale of the task ahead. Now, more than ever, we must prioritize clearing the way for a broad range of housing types at all price points within our cities to meet the demand of our growing population. Microsoft’s recent pledge of $500 million to help build more housing underlines the urgency of the situation. This incredible investment, which is only the beginning of a solution, should be a wake-up call to our entire region about the scale of this challenge. To solve this significant housing deficit, we will all need to do our part to make space for others. Consider, for example, a recent proposed housing project in the city of Issaquah that was stopped by neighboring residents. 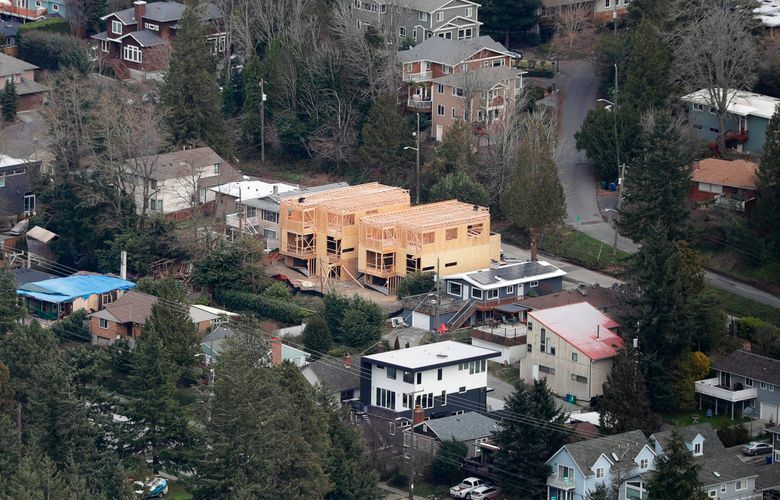 A story in The Seattle Times reported on how these neighbors stopped the project, [“‘It did not seem right’: How a group of savvy Issaquah residents halted a housing development,”] but it did not include the downsides to opposing housing development. Fifty-seven families were denied the opportunity to move to a desirable community near a major job center, the corporate headquarters of a Fortune 100 company, a future light rail station and five beautiful parks. While the story focused on one housing development in Issaquah, this challenge is present across our region and has contributed to our critical housing shortage. We see it in Seattle with efforts by neighborhood groups to stop an ordinance that would allow more backyard cottage housing in the city. We see it across several King County cities that have adopted building moratoriums at various times over the past two years, such as Federal Way, Sammamish and Duvall, among others. We see dozens of cities across the Puget Sound region unwilling to allow more housing types inside their borders, the very places designated for new housing under the state’s Growth Management Act. The Growth Management Act is founded on the policy of protecting our most pristine areas by growing in the right places. This guidance is critically important, especially when you consider that since 2010, our region has added more than three jobs for every housing unit. Aside from meeting Growth Management Act goals, there are important social-justice issues in play when our elected officials determine where our region’s residents can live. The benefits of living near job centers and transit hubs must not be limited to our wealthier residents. Minneapolis recently took the bold step of allowing a broader range of housing types in all residential zones to address its affordable housing crisis and promote racial equity — reportedly the first city in the nation to do so. In this case, activists came together in support of housing, arguing that areas zoned exclusively for single-family homes perpetuate racial and economic segregation. Proponents of the Minneapolis measure make a compelling case and should give us pause as we think about what solutions we need to tackle our own housing shortage. The Puget Sound region is at a crisis point, but we have an opportunity to head off disaster by eliminating unnecessary barriers to housing in our urban areas that are already designated for growth. Instead of fighting new housing, we need to work together to thoughtfully change the regulatory landscape to create new housing while protecting the environment. We must not limit our thinking, or willingness to act, out of fear of change. The time has come to modify the Growth Management Act to define minimum densities in all residential zones within urban growth areas. A minimum standard of six units per acre, for example, would still result in lot sizes of greater than 7,200 square feet. We also need to increase the supply of “missing middle” housing, like townhomes, duplexes, triplexes, accessory dwelling units and condos. Toward that end, the Legislature should adopt changes to the Washington Condominium Act that would reduce excessive litigation risk and encourage construction of affordable condominiums while maintaining consumer protections. Also, state legislation is expected to be introduced that would allow housing like backyard cottages in single-family zones in all jurisdictions, and it deserves consideration. Minneapolis provides a promising glimpse of what is possible as we look to the future. Let us work together to adopt bold housing solutions and ensure the Puget Sound region remains one of the best places to live in the country. Kat Sims is the executive director of the Master Builders Association of King and Snohomish Counties.